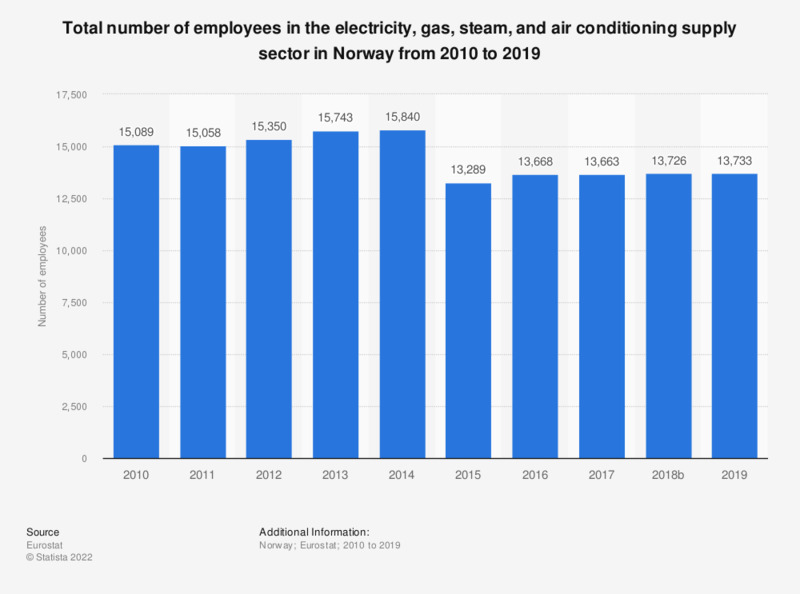 This statistic shows the total number of employees in the electricity, gas, steam and air conditioning supply sector in Norway from 2008 to 2016. In 2016, the electricity, gas, steam and air conditioning supply sector employed a total number of 13,668 people. Data coverage corresponds to code D of NACE Rev 2.